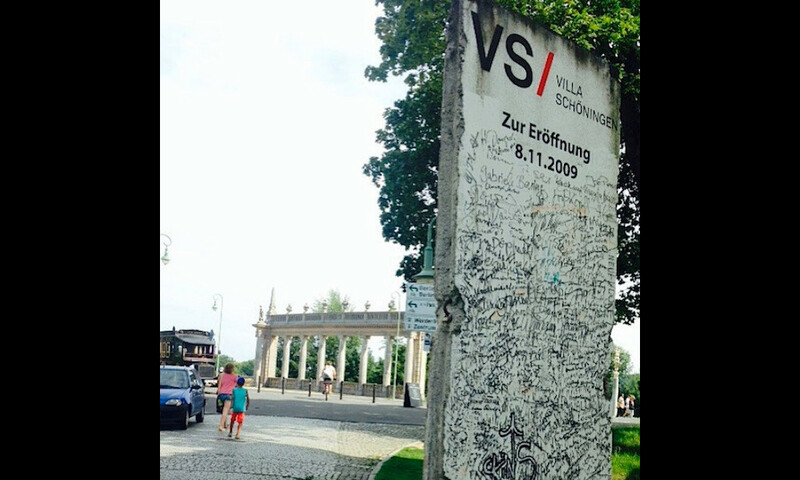 The Villa Schöningen is located at the Glienicker Bridge, between Berlin and Potsdam. West and East, where spies were exchanged under the eyes of the public. Like annual rings of a tree, historical eras and episodes are layering on the Italian towervilla, built by Ludwig Persius in 1843. It was founded on a esthetically whim of a romantic king, brought to life and inhabited by the Jewish co-founder of the Deutsche Bank, place of art, victim of Nazis and Soviet communists, after that socialist GDR children’s home, finally almost victim of an estate development project. 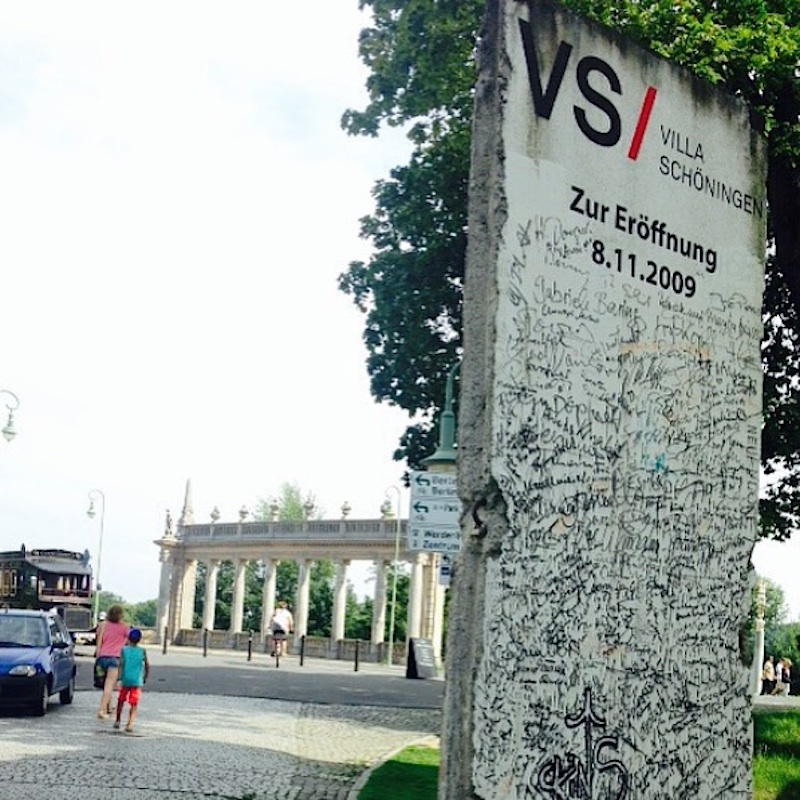 The Wall segment is a donation by Axel Springer SE.